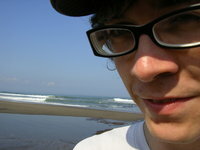 Luke Turvey was born in Canada and now lives in Japan. In his youth, his design career began as a graffiti artist. After several years of painting colorful street murals, he gained the attention of the local professional art scene, leading to many art shows & exhibitions in Canada, U.S.A. & Japan. More recently his art expands out into the digital realm, developing content for online games and creating fonts. Still true to his roots, Luke maintains a fresh urban flavor in his fonts.